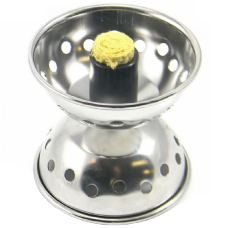 We have a great range of fire diabolos for those looking to add that extra wow factor to their diabolo performance. 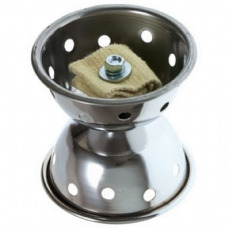 Our range of fire diablos all consist of metal cups and axles to avoid them melting at high temperatures. All of our diabolos use the highest quality kevlar wick, the kevlar wick once soaked in paraffin allows for a longer burn and means the flames won't go out even if you've got the diabolo spinning fast! The fire diabolo is just as dangerous as any other fire prop, this means that we don't sell them to those under 18 and highly recommend that you read our Fire Safety page – even if you're an experienced diabolist. We also stock kevlar diabolo string as performing with a fire diabolo on nylon string can cause it to set fire and melt causing a safety risk and potentially melting onto your brand new diabolo!